Each Local First Lexington member (business or nonprofit organization) is eligible to vote once. Voting begins at noon on Tuesday, March 20, 2018 and ends at 5pm on Tuesday, March 27, 2018. Want to help support local business marketing. How long have you been a member of LFL and how have you worked to spread the Buy Local message? TOPS has been a member for years. Have been attending for six months. Every day, buy local! Please describe any past or current board or group decision-making experience that you have. Helping market event for The Nest. What qualities, leadership skills and contributions would you bring to the LFL board? Small business and supporting local events, causes, stores, farmers, artists, trade, and anything else I can to great little big towns like Lexington survive and preserve the charm it currently possesses. What do you think are the most critical issues for LFL in its next few years? Spreading the word and bringing more events/awareness back to buying local. The more attention we can bring to the importance of small businesses, the more satisfied we all will be. Meg Carroll has been honing her skills as a metalsmith and designer of fine jewelry for 12 years. Originally from Long Island, Meg graduated from the Fashion Institute of Technology in New York with a degree in Jewelry Design. She continued her studies at several trade schools and after some travel, here and abroad, luck landed her in Lexington, Kentucky in 2011. She opened her own store, Meg C Jewelry Gallery, in 2012. A welcome addition to Lexington’s thriving arts scene, now located in The Summit at Fritz Farm. Meg routinely works with ethically sourced platinum, gold, silver, and one-of-a-kind stones. In addition to her ready-made collection, she creates custom designed pieces for clients. Her gallery offers nine distinct collections of jewelry in addition to her own, as well as temporary exhibitions highlighting unique designers from around the country. You can almost always find her with dirty fingers, saw frame in hand, hard at work at her bench at Meg C Jewelry Gallery. To be more involved in the community and help support other local businesses. Are you currently a Board Member or Officer of another organization? Yes, the OH/KY chapter of the Women’s Jewelry Association (WJA), as the communications chair then the events chair, since 2013. My experience working with the other board members of the WJA planning events, organizing the calendar, and handling communications. I would bring my creativity and experience. 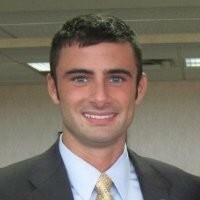 Nathan Dickerson was a Gaines Fellow who graduated from the University of Kentucky in 2007 with a major in public policy and a minor in computer science. He has worked for over a decade in politics, government, and nonprofits with a focus on advancing progressive culture and policy. He is a graduate of United Way’s Get on Board program and was a member of the inaugural class of the Kentucky New Leaders Council. 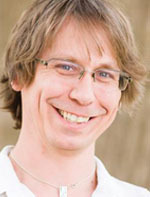 He currently serves as the Legislative Aide to Vice Mayor Steve Kay. He staffs the Infill and Redevelopment Steering Committee and meetings for the Advisory Board of the city’s local food program, Bluegrass Farm to Table. He also serves as the Council representative for the Fiber Team advancing Lexington’s gigabit city initiative. Lexington has a unique cultural identity complemented by a world-class landscape. Our city was the first in the nation to create an urban service boundary, and place is special here. This context is fertile ground for local business to thrive and enhance the character of the city. I have seen how the city’s Bluegrass Farm to Table program has supported economic development while also making local food a signature cultural experience. I would like to help further incorporate local businesses and nonprofits into the community fabric. I would be a new board member to Local First Lexington but a long-time supporter of local business, nonprofits, and culture. I enjoy highlighting all things local to visitors and those new to the city. Friends have even designated me as an unofficial ambassador for Lexington. I am a 2010 graduate of the Get on Board training program sponsored by United Way of the Bluegrass. The coursework teaches diplomacy and a suite of board skills. 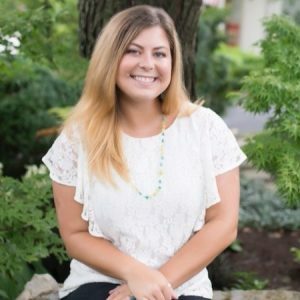 As a Legislative Aide within the Urban County Council, my work involves communicating and coordinating with a variety of stakeholders around key issues. I have experience in politics, nonprofits, and government in the Lexington area. I am currently the Legislative Aide to Lexington’s Vice Mayor, Steve Kay. My work in Lexington over the last decade has given me a vantage point to provide advice on strategy. I am fluent in local issues, their nuances, and am knowledgeable about potential partners and stakeholders. I am familiar with a variety of programming models within nonprofits and government. I have experience building consensus, identifying practical goals, designing a determinate plan, and achieving a vision through that process. I would prioritize enhancing consumer education that is valuable to the public and Local First Lexington members. The city has a dynamic student population, a consistent rate of population growth, and a host of visitors. 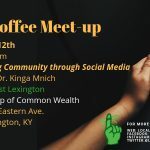 I would work to highlight to those groups what local Lexington has to offer and identify community partners with whom to amplify that message. 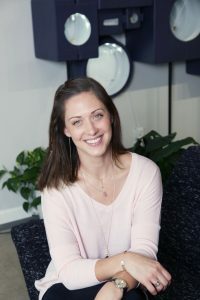 An entrepreneur at heart, Jett earned her Master’s in Business Administration from Loyola University of Chicago and a Graduate Certificate in Developmental Disabilities from the Human Development Institute (HDI) at the University of Kentucky. As a former restaurateur and caterer who has employed hundreds of people, she draws on her own experiences to teach high school students and young adults on how to get a job and keep it. Through a variety of programs, Jett also engages families, teachers, employers, state agencies and universities to raise expectations for full participation, intentional inclusion and accessibility at school, at work, and in their communities. 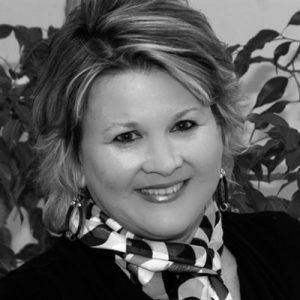 She resides in Lexington with her husband Frank Bickel, and their two children, Gracie, 12, and Charlie, 11. I would love to serve on the Local First Board to promote economic development and employment initiatives among local businesses in Lexington. As an entrepreneur, I understand the challenges that business owners can face. It would be an honor to help guide others in accessing resources and networking opportunities that can help increase their revenues and decrease their costs. In addition, I truly believe in the appeal of buying local and supporting small businesses and want to market that message to potential and existing consumers in our community. Build Inclusion officially joined Local First in the fall of 2017, however, I was an early supporter of Local First as a small business owner during its’ inception and implementation beginning in 2008. Over the summer of 2017, I introduced Local First to the Bluegrass Coalition of Workforce Development and they joined us at the October 2017 new member mixer hosted at Integrity IT where Build Inclusion was featured as the non-profit partner. 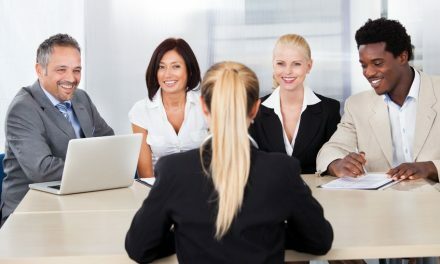 As a recruiter who matches local job seekers with employers and opportunities that match their interests and unique skill sets, I am consistently promoting local businesses to potential employees and their customer base. Yes, in December of 2017, I was voted in as a Board Member of Life Plan of KY, a pooled special needs trust organization that manages financial assets for individuals with disabilities to access over their lifetimes. In addition, in January of 2018, I began my term as President-Elect for the Kentucky Rehabilitation Association, Job-Placement Division. This member organization promote best practices and ethics in vocational rehabilitation to improve economic and personal independence of individuals with disabilities. As a disability activist, I have had the opportunity to participate in local, state and national groups that collectively promote meaningful integration and intentional inclusion in our communities. Each of these organizations is dedicated to breaking down barriers and increasing access to opportunities in the areas of education, vocation, and independent living (such as housing, transportation and recreation). Among others, I have held board seats on the LFUCG Mayor’s Commission for Citizens with Disabilities and KY TASH, where I represented our state at the national conference in Oregon in 2015. Perhaps my biggest contribution, though, was through my Governor-appointed member seat on the Commonwealth Council on Developmental Disabilities (CCDD), where I actively participated on the Public Policy and Employment Committees. In addition, I was voted Chair of the specially-appointed member task group charged with creation of the five-year Strategic Plan, which had to follow strict adherence to state and federal guidelines. It was important that all 26 members on the CCDD had input in the plan, thus facilitation and strategy was needed to create group consensus. Besides an extensive background in entrepreneurship and small business management, both for and non-profit, I have the educational acumen to back it up. In 1999, I graduated from Loyola University in Chicago with a master’s in business administration, with an emphasis in marketing. I have the leadership and communications experience to further the mission and enhance the membership of Local First Lexington. In addition, I have a deep understanding of the benefits of state agencies such as Office of Vocational Rehabilitation and the Office for the Blind which bring economic growth opportunities to small businesses through varied employment initiatives. Through my experiences, I have developed relationships with a large network of entrepreneurs, and small and large businesses in the Central KY area. In addition, I work with potential job seekers who are still in high school, and in transition to adulthood, to learn the skills they need to get and keep a job so that they are ready to get to work after high school or college. In short, I have experienced business needs from a variety of viewpoints; through education and experience with business owners, state agencies, schools and job seekers. In my opinion, the most important issues to LFL would be to increase its’ visibility in the community, and to assist local businesses to become more competitive, profitable and successful. In order to do this, the needs of local businesses must be understood thoroughly, and a plan of action to advocate and implement change in these areas would need to be undertaken. In addition, like many non-profits of this age, it is often necessary to review structure, processes and accountability to the organization in order for it to grow further. The primary reason that I would like to serve on the Local First Lexington Board of Directors is that I am passionate about the history and growth of Lexington’s local businesses. I follow many local news platforms on social media and the reoccurring headline “Another Lexington local business closes its’ doors after … years” has sparked my interest and has started to affect me and several of my professional peers. Recently closed local businesses such as Wines on Vine, Chatham’s Bistro, and almost a dozen more used to be staples in the community but are now just thoughts of the past. During my time at the Lexington Herald-Leader, in media sales, I was able to work one-on-one with the local business owners on their marketing plans. Several business owners had trouble getting customers to walk into the front door; not because their products and/or services weren’t above average, but it was because customers had no idea where they were located or didn’t even know they were open. I am a huge advocate of small, local businesses, and I would like to get more people invested in the Shop Local mindset. 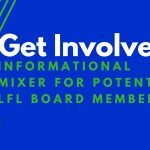 I have not been a member of the LFL, but I went to the information mixer to learn more about joining and applying to be on the Board of Directors. I am constantly spreading the Buy Local message whether this be for restaurants, boutiques, cleaning/moving companies, photographers, etc. The best way to promote a local business is through word-of-mouth. I can not tell you how many times I log on to Facebook and see one of my friends asking for advice on where to get a dress tailored or a different restaurant to try. This gives me the perfect opportunity to press upon how great it is to Shop & Buy Local. Not only am I a promotional advocate for local businesses, but I always try to substitute something I am currently purchasing from a ‘big box retailer’ with something that is from a local business. Some people have the misconception that shopping local means spending more money, and, in some cases, this is true. But the more you are educated and informed about shopping local, the easier it becomes to spend your money on a product/service of quality. I was a member of the American Advertising Federation (AAF) for approximately 6 months. I held a role on the Events Committee which included attending monthly/quarterly meetings, coordinating, planning, and hosting membership events, and participating in community-involved projects. I had hands-on experience in collecting materials, calling sponsors, and recruiting members to attend the events along with joining AAF. I graduated in May 2016 from Morehead State University, and during my four years at MSU, I was a part of Kappa Delta Sorority and the Panhellenic Executive Council. In Kappa Delta, I was the Assistant VP of Public Relations, where I aided in Social Media development and management along with planning outside events (retreats, formal events, etc.) for a group of 80+ women. I held the position of VP of Records for the Panhellenic Executive Council where I attended and recorded all outside meetings and events; I was also a ‘Gamma Chi’ mentor for a group of 35+ women going through the sorority recruitment process. During this process, I recruited women to join in Greek life as well as promoted the overall benefits of being part of an organization at MSU. I pride myself on being a very organized, enthusiastic, and committed individual. I would attend all meetings, as well as, come prepared with either material or ideas to contribute to those meetings. I have a very positive outlook on each day and transfer that mentality to all tasks/jobs that are assigned to me. I am a team player and do my best work when surrounded by others. I could contribute a high level of recruiting to get new members to join the LFL, as I am currently the Recruiting Director for Longship and have had a plethora of experience in the organizational recruitment process. I possess both professionalism and attentiveness to others, which I believe are two qualities that make a successful board member. Marketing event: Allow local agencies to set up booths for Local Business owners, Almost like a career fair, but for agencies. This would allow the local business owner to almost take a look at their marketing opportunities to make sure they are investing in the right company that will provide them with a solid ROI. Involvement in my community through direct hands on connection is my passion. As a small business owner I believe in the importance of cooperation and believe wholeheartedly in the mission of community integration and cooperation. As a board member of LFL I want to assist in raising awareness of the culture of supporting our local economy. Centered opened its doors almost 5 years ago as Lexington’s first holistic community center, one of the first things we did was to join LFL. 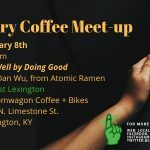 We have partnered with the VA, Hospice and several local non-profits and charitable organizations to provide inservices and workshops engendering a local first approach to integrate Lexington healing arts organizations with these national and statewide providers. Centered has partnered with other Lexington healing arts organizations to create a directory of reciprocal savings for our clients as well as assisted in the development of a local retail (Warehouse Block) group to cross promote and advertise. Being self employed for 23 years I see the importance of being part of the local culture and community. I work constantly to raise the community consciousness of the import of local brick and mortar businesses. I shop local and invite each person I connect with to do the same by sharing the story of who I am- a local business owner, a partner, a father of 3, a homeowner, doggie caretaker and human who is dependent upon the community to come to my business for services and products. I am not currently sitting on a board or as an officer of another organization. I am currently developing a non-profit to bring special needs populations to yoga with more ease and have been the Operations Manager for Centered, Lexington’s first holistic community center, since our opening 5 years ago. I bring a finely honed and skilled felt sense for hearing people and holding a space where they can feel safe to share vulnerably. Practicing active listening when paired with nonviolent communication enables me to assist individual and group meetings to have parity and balance. I feel comfortable facilitating group discussions and problem solving groups. I can lead introductory, closing meditations and self-awareness check in’s to provide group cohesion while advocating for success and innovation. Lexington is in a state of continued physical and fiscal growth and LFL is instrumental in integrating sustainable growth of small business. 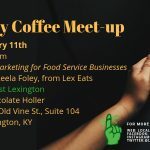 I see the need for Lexington to partner with our neighboring communities beyond the farm to table food concert and bring our local economies to cross support, promote, protect and grow our businesses. The need for LFL to increase membership numbers is crucial for the continued growth and ability for outreach of the organization. Join us in welcoming Natalie Cunningham!